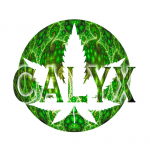 Calyx - The Medic. Free US delivery. The Medic is the best medical strain available with the much sought-after ratio of THC:CBD of 1:1. This 80:20 Indica:Sativa hybrid flowers in a stunning seven weeks. Indoor growers regularly achieve crops of 500g/m2. With its very large yields, cultivators must pay attention to supporting The Medic during the final stage of flowering. Sticks can be used to prevent branches from breaking or any similar alternative. She can become quite heavy at the top, but you will produce a bountiful harvest. A rich honey sweetness with deep and strong complex aromas.